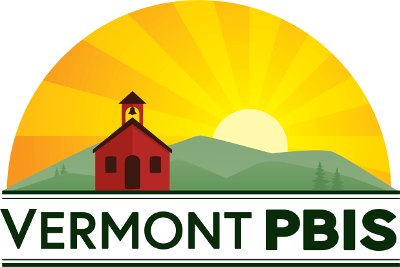 Vermont Positive Behavior Interventions and Supports (VTPBIS), part of CDCI’s Building Effective Support for Teaching Students with Behavioral Challenges (BEST) project, has a lot to celebrate this season! The team has recently released its annual report and has recognized 27 Exemplar Schools in the state of Vermont. 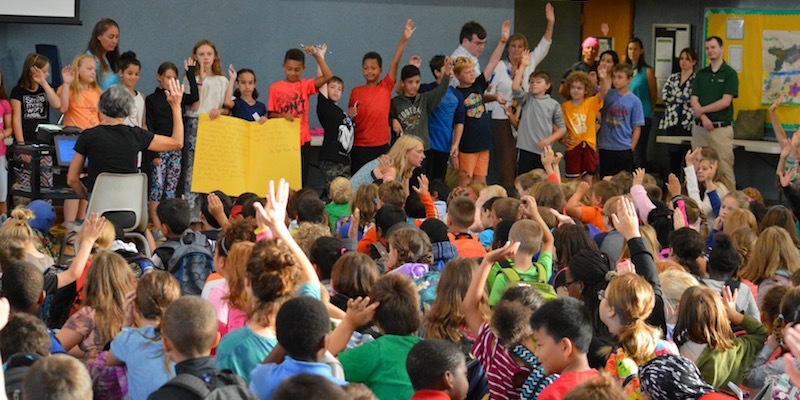 Positive Behavioral Interventions and Supports (PBIS) is a school-wide, systems approach to improving social and academic competence for all students. School staff, administrators, and family members work together to create positive and safe learning environments by teaching and supporting behavioral expectations in all school settings. PBIS is the behavior component of a multi-tiered system of supports (MTSS) framework that uses data to guide selection, integration, and implementation of the best evidence-based behavioral practices. At the foundation of this system is high-quality instruction and clear, positive feedback for all learners. Additional supports for any learner who needs more help in specific areas are provided in a timely manner; supports designed to address the unique needs of individuals are provided as needed. VTPBIS is now in the tenth year of implementation. Fifty three percent of Vermont schools are implementing PBIS in 98 percent of Supervisory Unions and Districts. The Vermont Agency of Education contracts with the Center on Disability and Community Inclusion (CDCI) at the University of Vermont within the College of Education and Social Services to coordinate the technical assistance, training, and coaching to support VTPBIS schools. This acknowledgement is the result of a significant commitment on the part of school staff as well as the recognition that school culture and climate is an important contribution to the overall success for all learners. Congratulations to this year’s VTPBIS Exemplar Schools!